Tackle winter like a fashionista in the Sorel Tofino II. 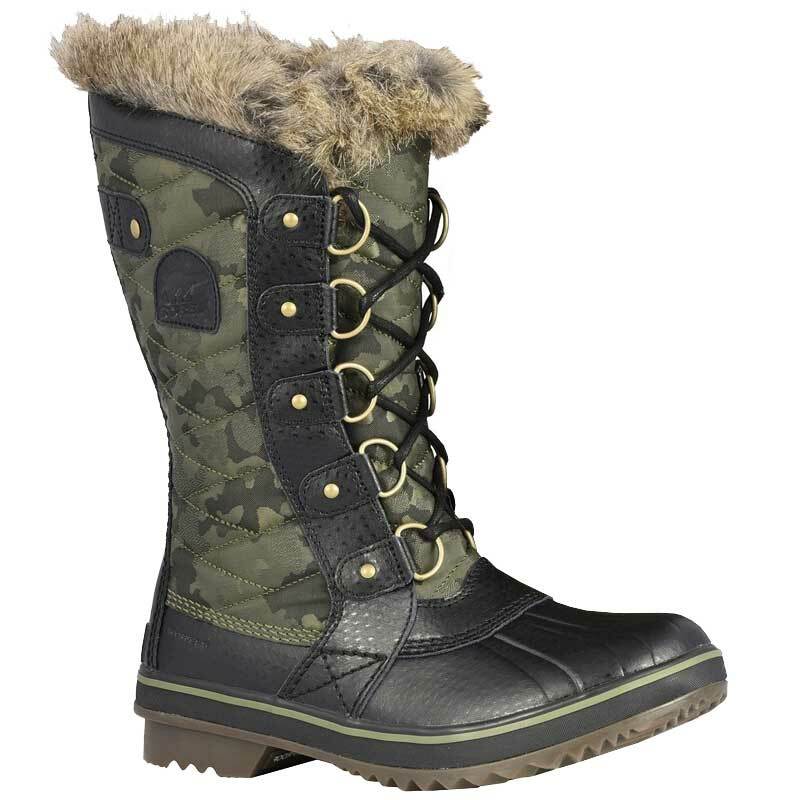 With a waterproof coated canvas upper and faux fur collar, your feet will stay plenty warm. This cuff keeps out specks of snow and debris and adds additional warmth. The Tofino II also has a waterproof membrane to create a barrier between your feet and the cold. The lace up design makes for on/off ease and creates a secure fit. Inside, you get 100 grams of insulation from the soft fleece lining and the removable EVA footbed adds warmth with a microfleece topcover. The shell of the Tofino II is made of a vulcanized rubber which maintains flexibility even in the coldest temperatures. The outsole features a herringbone deign for traction and grip on slippery winter surfaces. Be stylishly prepared this winter in the lightweight and comfy Sorel Tofino II.